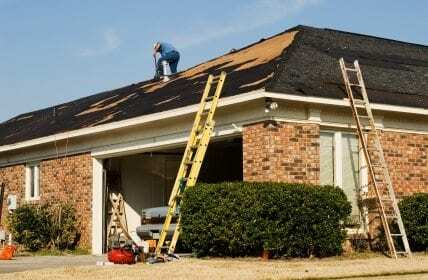 Home/Blog, College Station roof/What Are The Different Types Of Reflective Roofing Materials? Creating green and sustainable roofing is an established way to raise building efficiency to reduce energy costs and decrease negative impacts to health and the environment. From an energy saving concept, roofing technology has undergone a substantial evolution, a transformation from conventional roofing materials to a more advanced system such as reflective roofing material. With established goals to cut electricity cost, obtain a cool indoor ambiance, save money, and be a good steward to the environment, product manufacturers have engineered four different roofing types that can be personally chosen and installed by College Station roof companies. Metal – Many residential owners need energy-saving material for home improvement that provides extended protection and reduced daily energy consumption as well as environmental sustainability. Metal products sold by College Station roof companies are solid, durable, and appealing roofing solution and one of the energy-saving options available to resolve the issue. Metal doesn’t really deflect heat from the sun; however, when painted with light-colored polymeric coating, it does have high solar reflectance necessary to reduce yearly energy costs up to 40 percent. It is light-weight and resistant to harsh weather elements such as hail, snow, heavy rain, and wildfires. Tile – Another technology used is ceramic tile shingles that are extremely beautiful and can last up to a century. With the advances in technology, the texture and color of the tiles does not change which provides a natural appearance. Reflective pigment is added to the material to bend infrared radiation from the sun which in turn keeps a building cool and minimizes the use of air-conditioning. Some other advantages include enhanced occupancy comfort, reduction of the ‘heat-island effect’, decreased air-pollution, and reduced carbon dioxide production. Membranes – For newly constructed or renovated low-sloped residential or commercial buildings, unique technology and innovative solutions such as reflective elastomeric membranes can provide a sustainable and economic stability to impact the performance of the entire roof. The ‘albedo’ effect of reflective membranes deflects ultraviolet rays to keep a building inside cooler. This also decreases the demand on an indoor cooling system by controlling the temperature coming into the building. Coatings – Reflective coatings can reduce energy costs up to 70 percent depending on the type used, climate, and degree of sun exposure. Buildings in hot areas can benefit more from this type of coatings. Albedo coating contains UV-blocking pigments that can decrease surface temperature. White paint is considered the most efficient coating because it has an approximately 85 percent solar reflectance. When it comes to a roofing system, reflective materials are designed and engineered to reduce energy bills and help protect the health of occupants. Reflective roofing products are made to decrease heat absorption and bend away ultraviolet rays. All of the above types provide benefits and advantages to a building and its owner; however, it is essential to consult an expert roofer about the types suitable in a specific location. Knowing the different types of reflective roofing material available will be a great help in making the right choice of a given roof in its location! College Station Roofing is Your Best College Station Roof Company Choice! Are you considering reflective roofing material for your College Station Roof? Contact College Station Roofing for help in selecting the right type of reflective material to help reduce your home energy costs! By College Station Roofing|2018-10-24T15:39:17-05:00December 19th, 2012|Blog, College Station roof|Comments Off on What Are The Different Types Of Reflective Roofing Materials?